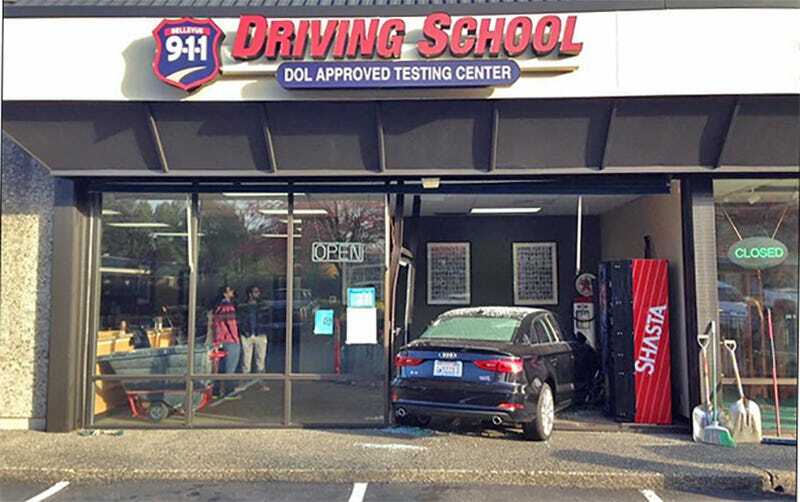 It’s such a bummer when you fail a big test over one little mistake, like this driving student in Bellevue, Washington who apparently mixed up the gas and brake pedals one time and, uh, destroyed her driving school. Hell of a photo-op though. Hope she gives it another shot. Hope there’s decent insurance on that Audi, too. Image via Bellevue Police. Hat tip to DeeVee!